This beautiful home will not disappoint! It is an end unit making your patio and outdoor space larger than the other units. The main floor has a powder room for guests and a great open floor plan for entertaining. The kitchen has upgraded cabinets and stainless steal appliances, including a gas stove. The laundry is off of the garage entrance making a perfect mudroom area. The attached two car garage is an amazing feature that is hard to come by in an attached community. Upstairs are three bedrooms including the master. There is a full main bathroom upstairs, while the master has it's own suite with a newly remodeled walk in shower. 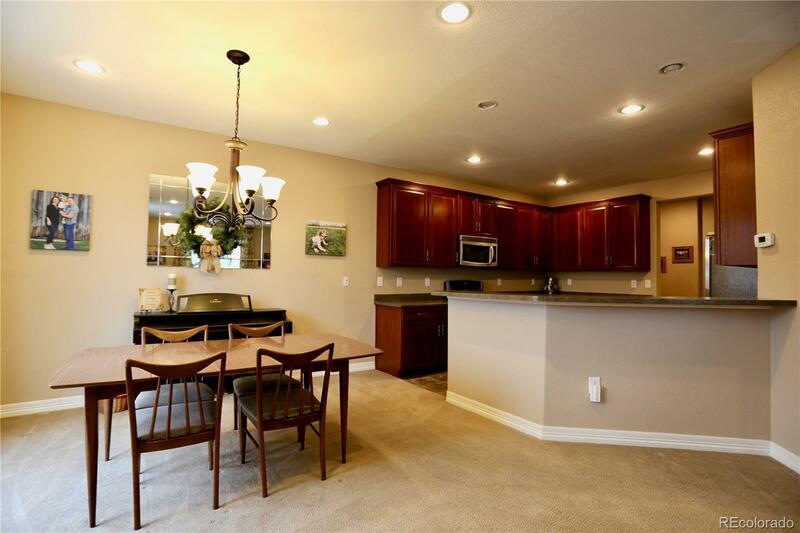 There are paths and a playground within walking distance as well as close access to jump on E470 for an easy commute. The pride of ownership will shine as you tour this property!